About one hour before smoking, make the dry rub. Combine all ingredients in small bowl; mix well. Rub a light amount of oil on both sides of ribs and sprinkle a light coating of rub on both sides; let stand for 5-10 minutes at room temperature. Once the first layer of rub turns wet from the meat, generously coat both sides of ribs with additional rub. Set aside at room temperature for 30 minutes. Meanwhile, make the sauce. Combine all ingredients in medium saucepan; bring to a boil over medium high heat. Reduce heat and simmer 15 minutes until slightly thickened, stirring frequently. Cool to room temperature; cover and refrigerate. Heat charcoal grill using Kingsford Charcoal for indirect cooking at 250 F to 300 F. Add drained wood chips if using. Place the ribs, meaty side up, over a drip pan and cook for 2 hours. Add about 12 coals to the charcoal grill every 45 minutes or so to maintain the heat. 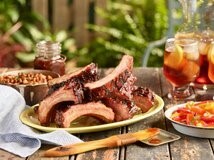 Continue cooking ribs for 1-2 hours more over indirect heat, until very tender. Add more coals as needed to maintain temperature for a charcoal grill. 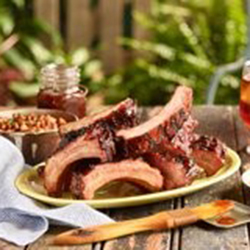 Place ribs over direct heat on grill and brush with sauce. Cook for about 5 minutes until the sauce is set. Turn ribs and repeat with more sauce. Join us in celebration of 70 years of happy shopping! Come to any Macey’s location this Saturday, March 3rd to help us celebrate our 70th anniversary. 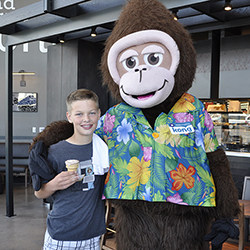 Enjoy anniversary cake straight from our bakery from 12-2 p.m.
At 1 p.m. we will be having a Kong Kone ice cream eating contest. 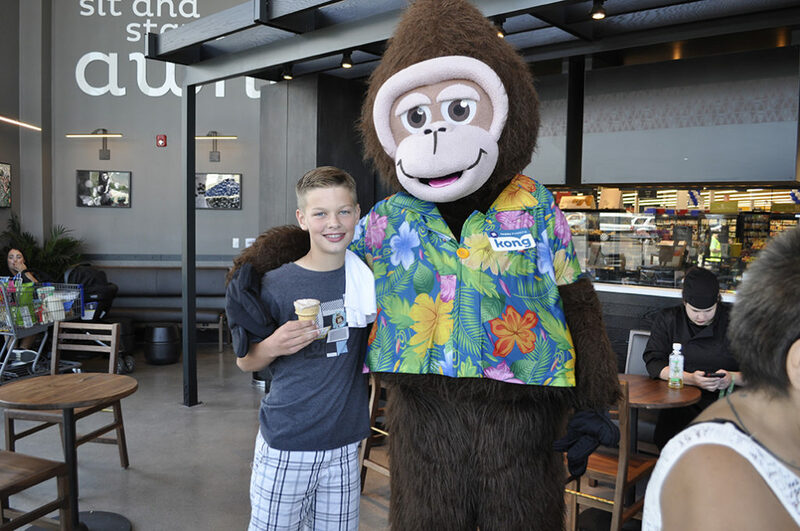 One winner per store will receive free ice cream for a year! 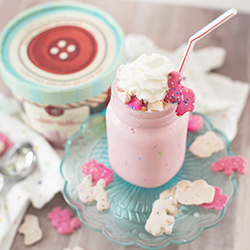 Place ice cream, milk and cookies in blender. Cover and blend until smooth. Pour into cups. Top with whipped topping. Enjoy! 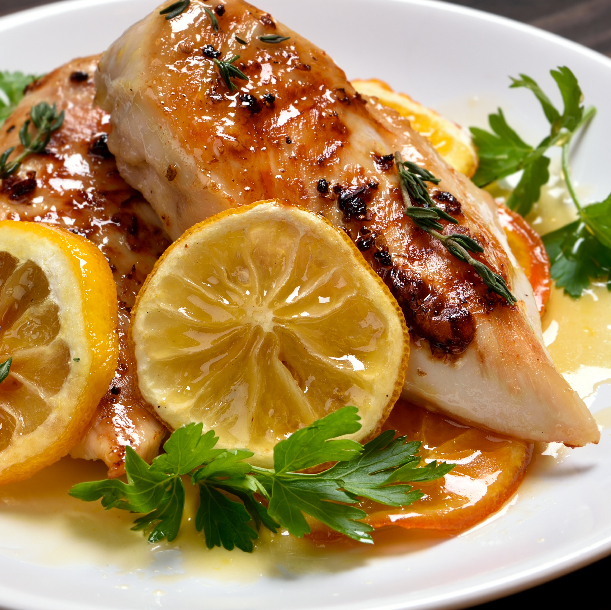 Check out this great recipe and more here. 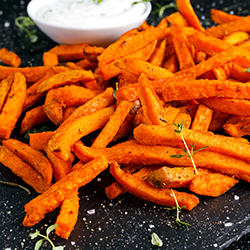 This simple recipe is sure to be a repeat favorite in your home. It’s simple and wallet friendly ingredients mix together to offer the feeling and experience of high-class dinner without the price tag. Treat your family to a high class experience that is easy on your budget and leaves you more time to enjoy your family. In a large bowl place bread crumbs and enough milk to moisten them; it should be about the consistency of oatmeal. 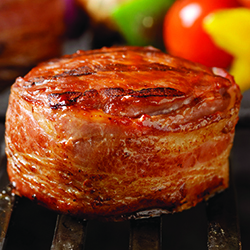 Make into six ¾” patties and wrap with bacon. Use toothpicks to keep bacon in place. Grill on medium heat until done or broil in oven for 15 minutes 3 inches from broiler. 1 cup of orange juice concentrate. 3 Clementines, peeled and segmented. 1 tablespoon of grated Clementine peel. In a large skillet, melt butter. Add chicken, salt and pepper. Brown chicken on both sides until chicken in thoroughly cooked. Remove and set aside. Add the flour to the skillet and cook over low heat for about 2 minutes. Add orange juice concentrate, water and cinnamon. Simmer, stirring until the sauce thickens. Return the chicken to the skillet, spooning sauce over it. Cover and simmer for 5 minutes or until heated through. Add Clementine segments and zest, then stir. 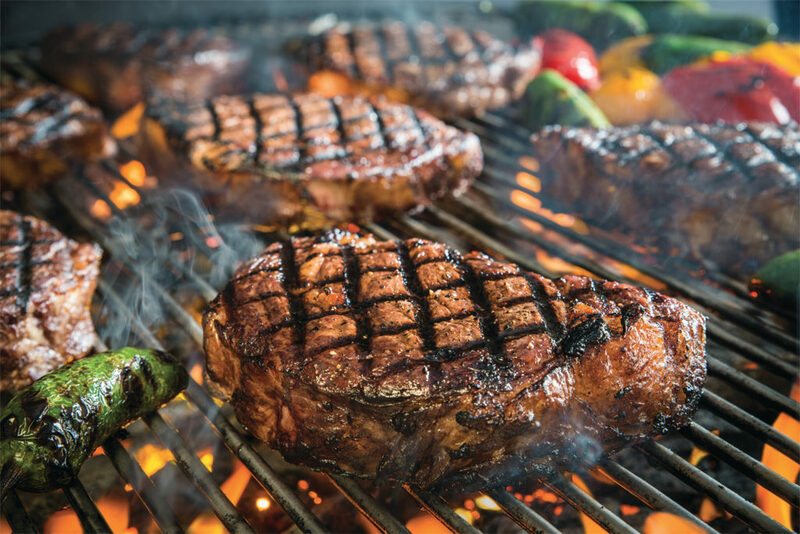 Have you ever wondered how the experts make their experts make their steaks taste so good? A big part of it is choosing the right cuts and the right quality. Certified Angus Beef ® always has lots of delicious marbling, which provides flavor, tenderness and juiciness so you know you are getting the very best at Macey’s with Certified Angus Beef®. As far as cooking goes, there are a few simple secrets that will help make you the king (or queen!) of the grill! S – Start with a hot grill (500-550˚F. is ideal). 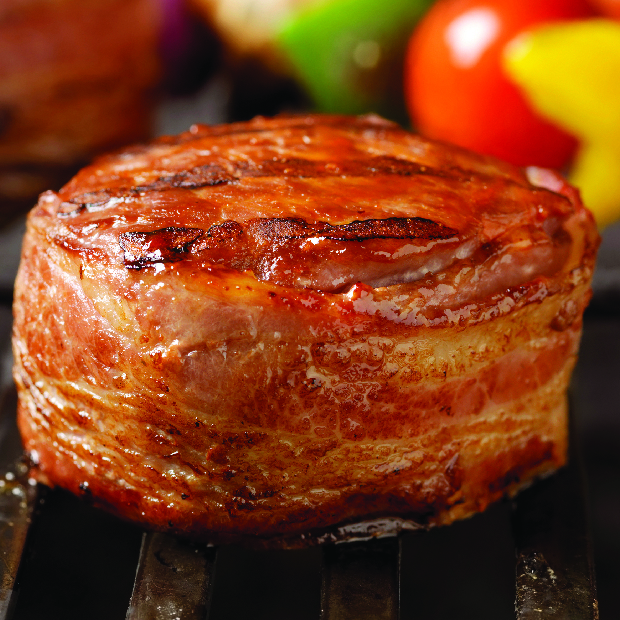 Searing beef helps lock in its delicious juices. T – Turn steaks gently with tongs or a spatula; never pierce them with a fork. E – Ensure juiciness by flipping steaks only once. A – Assess doneness with an instant-read thermometer. K – Keep food safety in mind. Thoroughly wash anything that comes in contact with raw meat. S – Set steaks aside to rest a few minutes before serving, to keep the juices inside. That’s it – six easy steps to steak perfection! Happy Shopping® and happy grilling. Heat oil in skillet on medium. Add shrimp and taco seasoning. Cook until shrimp is cooked and warmed through. 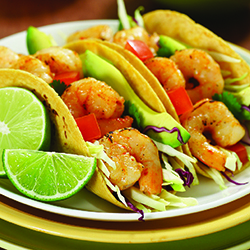 Serve shrimp in tortillas with desired toppings: sour cream, tomatoes, lettuce, avocado and more! Enjoy! Preheat oven to 450 F degrees. Combine oil and seasonings together in a medium bowl. Wash the potatoes and slice into fries. Toss fries in oil and seasoning mixture. Place fries on baking sheet. Bake for 30 minutes. Turn fries occasionally. 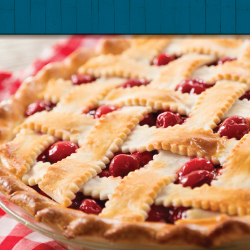 All pie lovers know you can’t go wrong with a classic cherry pie. In fact, it’s one of America’s favorite flavors, second only to apple. It’s such a loved treat that it even gets its own national food holiday, and guess what? It’s today! Happy National Cherry Pie day. While pie is traditionally considered a dessert, in the 19th century they believed fruit pies were a great breakfast item. We don’t know about you, but we think that’s a pretty good reason to start your day off with a large slice. No matter when, or how you like to have your pie—whether it be topped with whip cream or tucked in next to a giant scoop of ice cream—we want to help you celebrate. 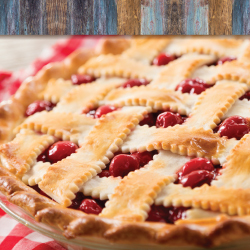 Stop by our bakery to pick up a fresh-made 8-inch cherry pie for only $3.99! And don’t worry, it’s a national holiday so the sugar doesn’t count.